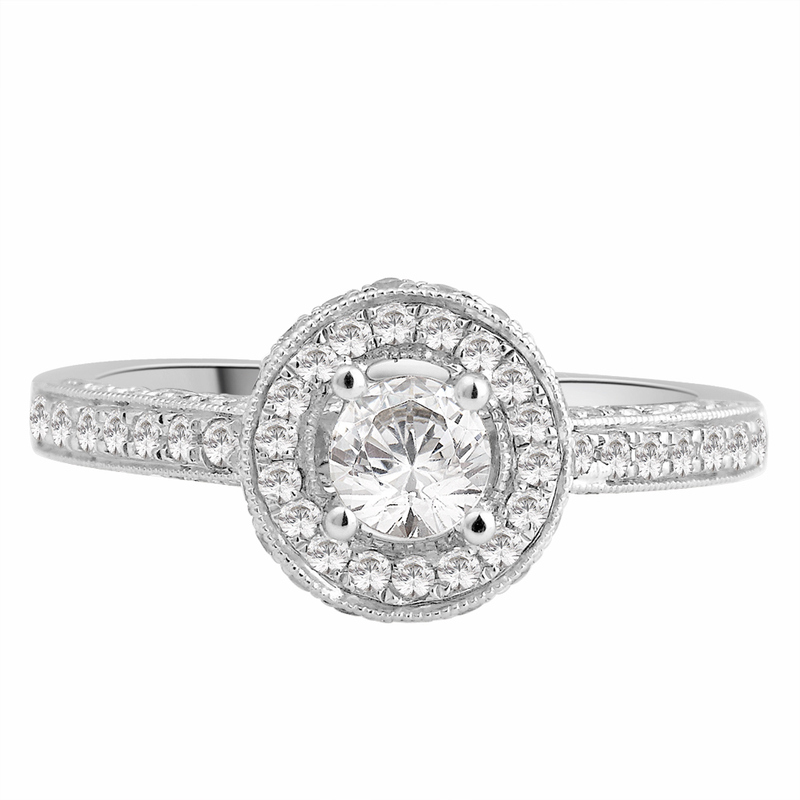 I love this beautiful ring, its one of my favourites. 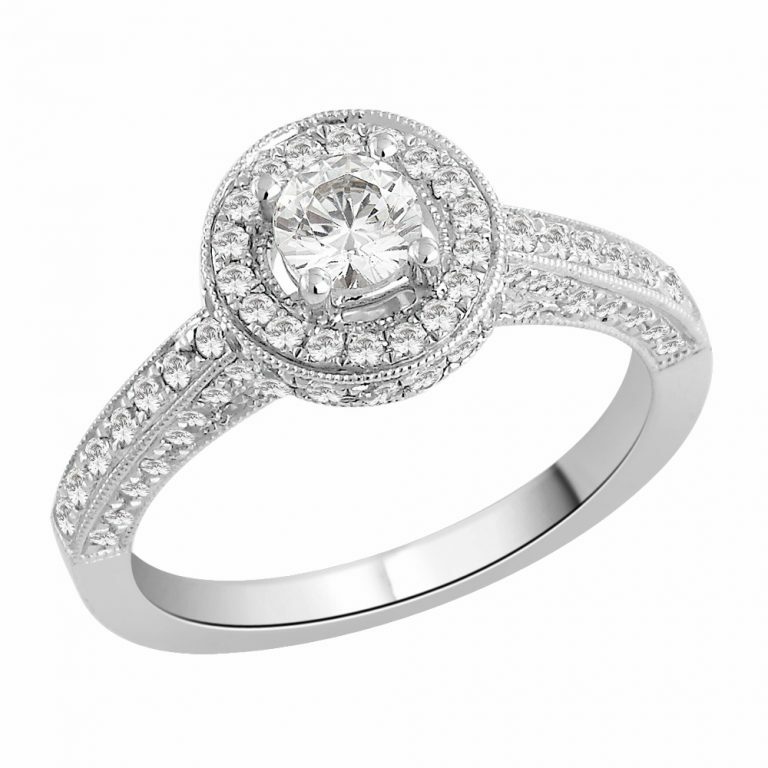 Set with a round brilliant cut diamond of SI Clarity and G-H colour this ring just sings sparkle. 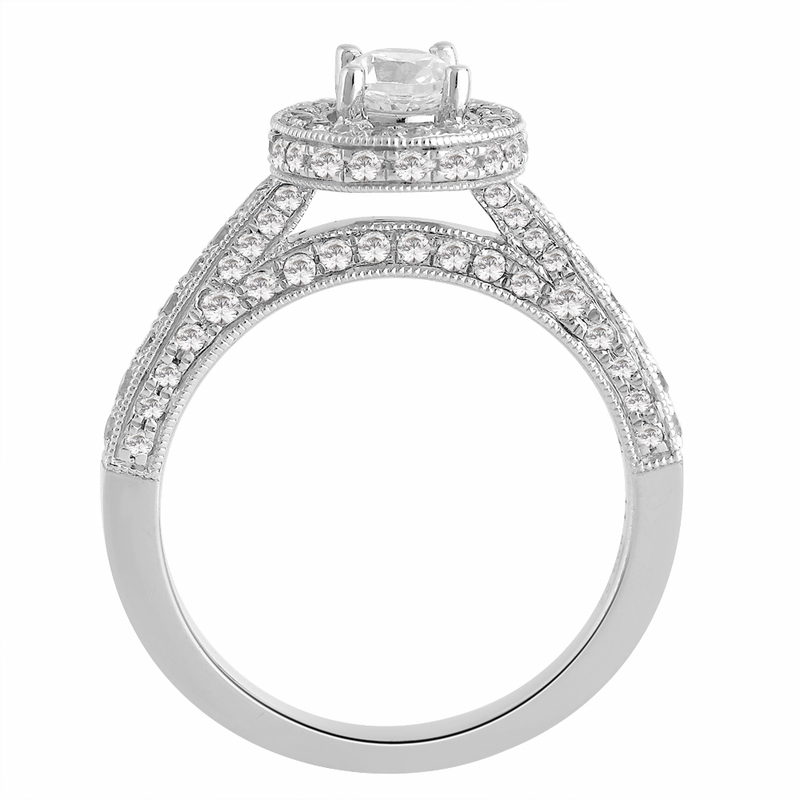 The centre diamond is 0.47ct and there are 1.10ct of smaller round brilliant cut diamonds round the rest of the ring! This ring is made to order and takes approximately 5 weeks.